Thanks so much Amy for letting ussponsor a giveaway on your blog! We so appreciate all that you do forthe quilting world and are especially looking forward to thisSpring’s Bloggers Quilt Festival! There is so much going on in our neckof the woods throughout the Month of May! 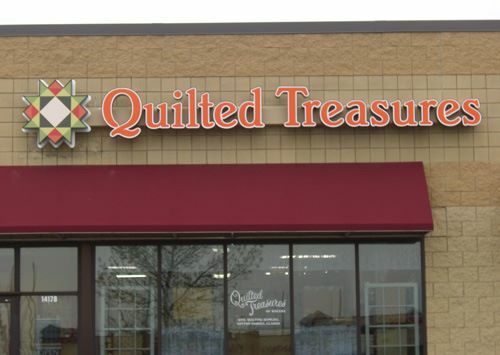 As many of you know, QuiltMarket is in Minneapolis this Spring which is extra exciting for us!Our Quilt Shop, Quilted Treasures of Rogers is located 25minutes NW of the Twin Cites, so we’re hoping many market go-erswill get a chance to stop in and say hello! 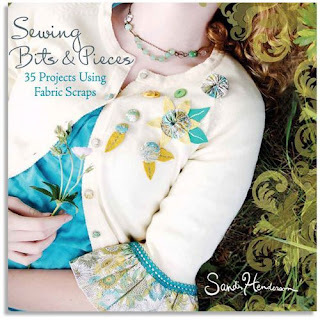 We have a super fun event planned theWednesday before Market begins…Sandi Henderson is coming toQT to sign her NEW book, Sewing Bits and Pieces . MichaelMiller Fabrics and The Twin Cities Suburban Modern Quilt Guildwill be hosting a wine and cheese reception that evening inconjunction with the book signing. It’s Wednesday, May 19thfrom 6-8 pm, please join us! Visit our events page for furtherdetails, directions and contact information. To celebrate all of this excitement,we’re giving away a copy of Sandi’s new book, along with a FatQuarter Bundle of her Meadowsweet Fabrics! All you have to do isvisit the Quilt Kits page on our website and let us know whatis your favorite! Extra entries will be added if you visit our blogsSew Domestic and Pieces of Work! Good luck and we hope to see some ofyou in Minneapolis! Thanks so much to Kristina for putting this post together, and being a great sponsor! 2 – Visit QT and sign up for their newsletter – Leave me a comment letting me know. 3 – Visit QT and find a favorite kit, and let me know. 5 – Subscribe to Sew Domestic, and let me know. 6 – Subscribe to Pieces of Work, and let me know. Best of luck to all of you! I will select a winner on Monday, May 17th! I really like the Criss Cross Applesauce Runner. Love the colors. I think that the Thangles tool would be useful. Nice site! I like the "Jacob Goes to Omaha" kit. Everything is beautiful! Please enter me! Thanks for the giveaway, love Meadowsweet, and excited for Sandi's new book too! I love the cover of the book, very nice! And a great giveaway too! I really love the Wild Thing kit. I love the Still Showing Off quilt kit from QT, love the colors! My favorite would be Fire Escape – it would pull me out of several comfort zones at once! Just signed up for QT's newsletter! Already have the Blogger's Quilt Festival button on my blog's sidebar! I visited Pieces of Work and subscribed via email. Thanks for this amazing giveaway!!! Love the Blue Skies kit. I love those bouncing borders kits… those are great baby quilts! I visited Sew Domestic and became a follower. yummy giveaway! wished I lived closer so that I could shop! 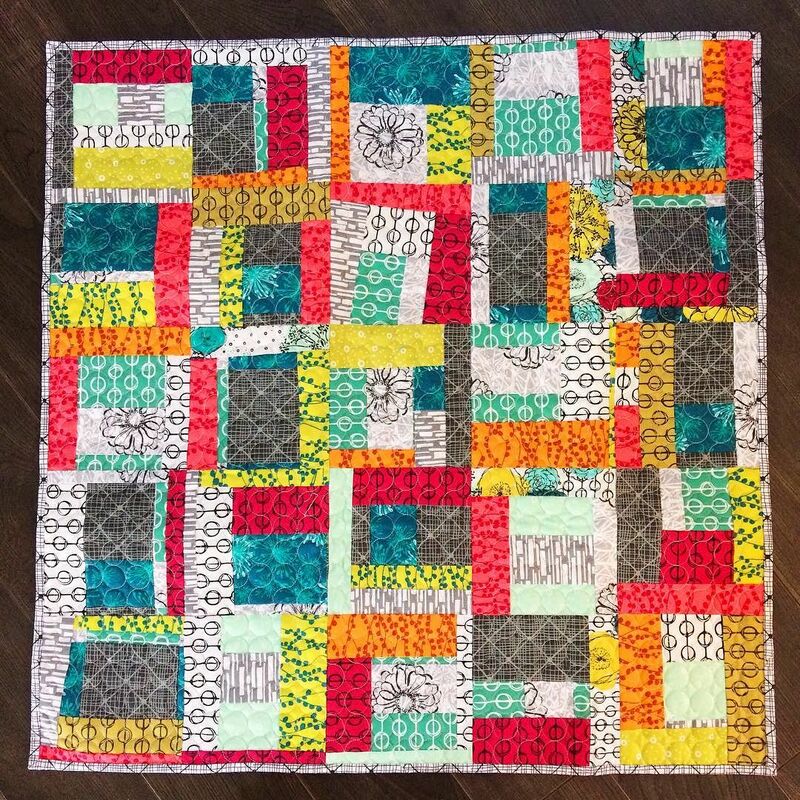 their bouncing borders aqua quilt kit is awesome! I also love me that bella bag kit–so reasonably priced! Oh!! Sandi Henderson is one of my favorite designers!!!! This is such an awesome giveaway! I am so hoping to get the chance to meet Sandi next week when I'm at Market! I really like the Wild Thing quilt kit they have using the Eva collection! Thanks so much for sharing. I really enjoy to get to now new designers and sites! Love the meadow sweet line! I like the bits and pieces book…actually I like a lot of the books I saw! I added your button. woo hoo! That's always a challenge for me. The Robots and Rockets kit is really adorable! I love the Bali Sea Star Kit! oh I love Bouncing Borders! I like the Bella Bag pattern and the Baby Love book. Hooray for a great giveaway (again – lol). I signed up for the newsletter. Love the strips and ladders quilt made with Hoffman Bali Pops. Great giveaway Amy – and from a quilt shop that is ALMOST in my neighborhood! My favorite item from the QT online shop is the Wild Thing quilt kit! Great fabric choice. Wish I lived closer to the Twin Cities! My fave kit is the Criss Cross Applesauce table runner. I've been looking for a pattern like this! Thanks for the give-away! Added the Spring Blogger's Quilt Festival button to my blog. I signed up for the QT newsletter! Thanks Amy for hosting the Blogger's Quilt Festival – I so look forward to these. Now I just have to figure out what quilt is my current favorite. The button has been added to my site! What a great giveaway! Visited QT & my favorites are the Blue Skies kit and the Bella Bag! Signed up for the newsletter at QT! Posted a Blogger's Quilt Festival button on my blog last night! What cute colors. Thanks for the giveaway. I like the Balie Sea Star Kit. I would love to be able to make one of those soon. I also signed up for their newsletter. I love the title of the book. Even though my scrap pile is still small but there are so many ideas running in the Internet that makes me wonder can I have that huge pile of scraps. Alright, signed up for the newsletter. The fabric is beautiful! Sandy is awesome too! Love the 12 Days of Christmas fabric in your shop. I am now loving the 60-inch yardage for backing so looking through the listing am falling in love with the aqua cuddle backing. I love the Bali Sea Star Kit. Subscribed to Pieces of Work! Wish I live in MN, would love to particapate. 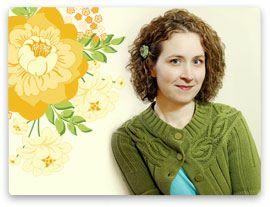 I put a button to the Blogger's Quilt Festival on my blog – I am looking forward to participating! I went over to Quilt Treasures, and I really love the collection of fat eighths! What a great way to a build a stash! Thanks for doing the giveaway. My favorite kit is Arcadia. I'm so excied about this book! THanks for the fun giveaway! I love the Bouncing Borders and Blue Skies kits! 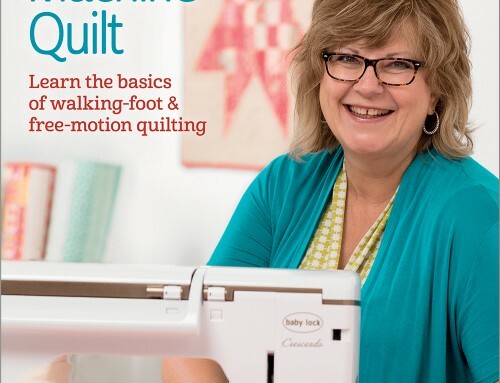 I signed up for Quilted Treasure's newsletter! I love the animal party fat quarter set she has in her etsy shop! I also subscribed to Pieces of Work! Thanks for the fun giveaway. Sounds like you are going to have a lot of fun during Market! I like the bag pattern best! Great give away, thanks! Love the Liberty Log Cabin kit. I have posted your button in my blog and also I will be glad to help the spanish speaking people to sign up for the Festival if they leave me a comment in my blog. thanks so much for organizing it. I really like the All Squared Up quilt kit. Thanks for the chance. Gorgeous fabric and what a fun book. Thank you for the giveaway. 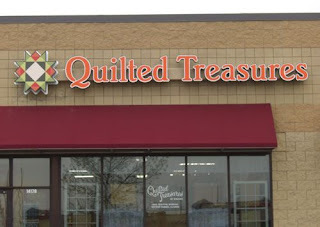 I have subscribed to all and wish I could visit the Quilted Treasures Quilt Shop. I love everything in the store. I am just too far away. I have also posted the Bloggers Quilt Festival button on my blog. Robots and Rockets quilt kit is my favorite. And I signed up for the QT newsletter! I love the Safari kit ont he Quilted Treasures site. I subscribed to Sew Domestic. It is fun. I subscribed to Pieces of Work. Gorgeous!! And my favorite kit is the Ring Around Quilt kit. I love the purples and greens together. Amy, thanks for including me in this giveaway. Looking forward to the Spring Festival. Thanks for hosting again. And I just subscribed to Sew Domestic in my Google reader. I also just subscribed to Pieces of Work. Gorgeous quilts & fabrics there! I'm looking forward to the Quilt Festival too! I signed up for the QT newsletter. The robots and rockets kit is adorable! I love the bali sea stars quilt kit! It's just beautiful! I love the Color Defined Fat Quarter Bundle. What a terrific giveaway!!!! Thank you so much! AI love the take five urban blooms kit! Sandi Henderson's book looks like so much fun! I'm crossing my fingers! Thanks for the fun giveaway! The bouncing borders quilt kit is very cool. I signed up for the QT newsletter!!! Amy you do such a wonderful job promotting quilting. I have added the Quilt Festival button to my blog and look forward to all the beautiful quilts. This shop is one that I have not visited in MN but look forward to it the next time I go back "home". I like the bouncing borders kit! Wow it's coming fast! May has just FLOWN by! My fav kit is Mo's Suspenders! I subscribe to QT newsletter! Thanks for the giveaway – sweet!! My fav kit is the Color Defined Fat Quarter bundle. Gorgeous! I am a follower, thanks for a chance. I already subscribe to Sew Domestic! I like the Robots and Rockets Kit-I'm just a sucker for a cute baby/toddler quilt! Back again just to let you know that I linked this get away to my blog. Love me some Meadowsweet :) And I'm looking forward to the Blogger's Quilt Festival! I likely won't have a new quilt to show, but I'll have a tutorial for an old quilt. My favorite kit is the Bella bag kit – so cute! 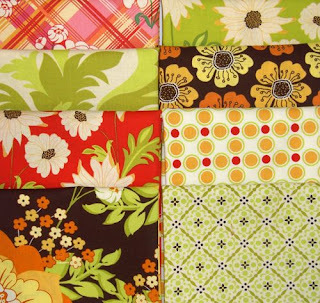 I love the wild thing kit and the urban flower quilt kit. So cute! I'm having hard time picking one quilt kit that I like best…but I the Alphabet quilt appeals to the calligrapher in me! I've got Sandi's book on my birthday list! I've got your button on my blog too! This is a great giveaway, I'm off to visit those blogs now :) watch this space! Thanks for another great giveaway! I have offically signed up for the Newsletter and BOTH blogs, love them both!! My favourite QT kit is Josephine's Sampler. Great giveaway! I would love to win her book! I visited QT and signed up for their newsletter! My favorite kit at QT is "Autumn Nights" as the log cabin pattern is my all time favorite! I have subscribed to "Sew Domestic". This post makes me wish I lived in the MN area! I have subscribed to "Pieces of Work." I love the Ring Around quilt kit at Quilted Treasure! The variation of little and big squares is really nice–unique, too. My favorite kit is either of the Bouncing Borders (aqua or funky). The Beach Balls quilt kit is my favorite. Count me in! I want this book! My favorite kit is Still Showing Off. Bright colors, simple and CUTE! I love new fabric! Thanks for the giveaway :o). The Baker's Dozen book looks scrumptious! Ohhhhh…love this give away. Please count me in. I couldn't decide on just 1 kit…I would love to try All Squared Up and Blue Skies! All signed up for QT's newsletter :o). I like Josephine's Sampler. Beautiful reproduction sampler quilt. Great giveaway! I like the Baby Takes 3 Flannel Kit. Fun colors! My initial comment – thanks! I visted QT and signed up for the newletter. Another great sponsor giveaway! Thank you! I scrolled through the kits and I just LOVE the Wild Thing kit! Thank you! Wow, that line fo fabric is stunning!! I'm off to have a look at the kits. I subscribed to Sew Domestic. I have subscribed to Pieces of Work. Always great sponsors! love sew domestic. I like the Criss Cross Applesauce kit. Cute name too. I love anything with stars, so the Bali Sea Stars kit is a favorite, but then I also love 30's repros, and can't quilt looking at the Sew Happy quilt! Too Cute! I subscribed to the newsletter at QT also! Great shop! lovely fabric…love to enter the giveaway! That sounds like so much fun. Too bad that i'm not going to market. My fave kit at QT is the Fire Escape quilt. thanks for hosting this giveaway, would lOVE this book and fabrics! setting sails is my favorite kit…love hst's!!! The book looks so interesting! I can't wait to be able to look through it!!! I would love to visit your shop sometime. I loved the wild thing and ring around quilt kits. What a generous giveaway! I wish I was closer to the twin cities. The book looks really great, thanks for the chance at the giveaway! I love the Beach balls kit. Escape Kit is my favorite. That was a difficult task to narrow down my favorites to just one! There are soooo many great kits! Thanks for hosting this giveaway! This is awesome! I hopped on over to QT and signed up for the enewsletter! lol…I've subscribed to Sew Domestic…very entertaining blog! Wow! What wonderful eye-candy on Pieces of Work! 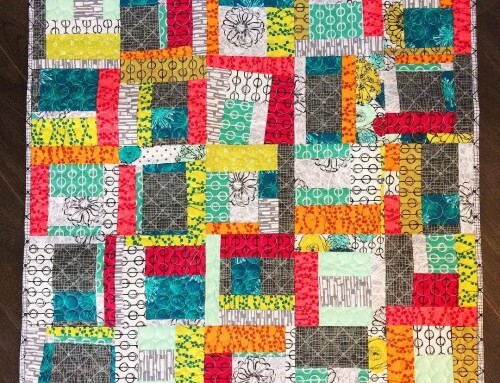 I subscribed to the blog and look forward to veiwing more gorgeous quilted treasures! No problem…I've posted your button on two blogs! versana-creativedawn.blogspot.com and fabrikdea.blogspot.com – also blogged about this event on fabrikdea! Great giveaway, thanks Amy! I love this fabric. It would be great to win! I love the alphabet quilt kit on the Quilted Treasures website. Thanks for this giveaway and some new links to check out! 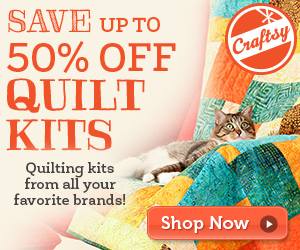 I like the Blue Skies Quilt Kit on the QT site. I subscribed to Pieces of Work. I just added your button to my right sidebar. What a lovely giveaway! That book looks great! The Baby Quilt Panel – Pink is my favorite. Cute! Sign me up, please! I have so many scraps! That still showing off kit is gorgeous without being too complicated. Count me in! I love those fabrics, and that book looks very interesting! I really like the Beach Balls kit – so fun! I like the alphabet quilt kit, so cute! I also liked the rockets and robots one. So thanks, thanks for the giveaway! My favorite kit is Autumn Nights, and it's NOT because it's the first one. LOL! I LOVE the colors, and the placement of the blocks – outstanding! Subscribed to "Pieces of Work"
I like the wild thing kit best. 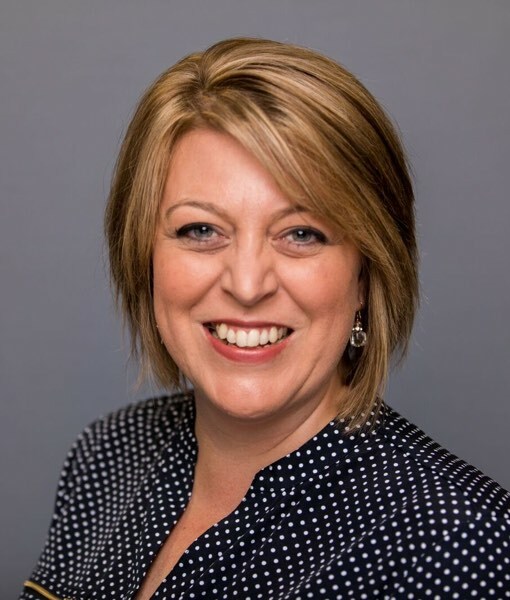 It is always a pleasure to read your blog! The QT newletter will now be coming to my inbox! Woo Hoo! My fav kit would have to be the Fields of Minnesota kit! Me Likey! Gotta Button on my blogitty blog! I am working hard to finish my quilt in time! I love the Bella bag kit, and wild things kit! Thanks! The list of blogs I follow just got longer since I subscribed to sew domestic. Thank you very much. What a beautiful gift. Antique Album Kit is my favorite. I added a button to my blog ;0). I visited sew domestic & became a follower. I like Chain of Lakes best, although Still Showing Off is great, too. What a wonderful giveaway! Quilted Treasures' website is beautiful! I wish I could stop by their shop! 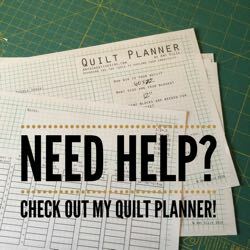 I signed up for the Quilted Treasures email newsletter! I love the Wild Thing kit! I now subscribe to Sew Domestic! I subscribe to Pieces of Work now too! the book looks great and the fabric… so tasty! i love the "Take Five Urban Blooms "
I love this fabric!! Thank you for the great give away! The Blue Skies Kit is wonderful! what an amazing giveaway! I was already looking forward to this book. Thanks for the chance to win! My favorite kit is "still showing off"
I love Sandi Handerson, and I've been to QT, great shop!